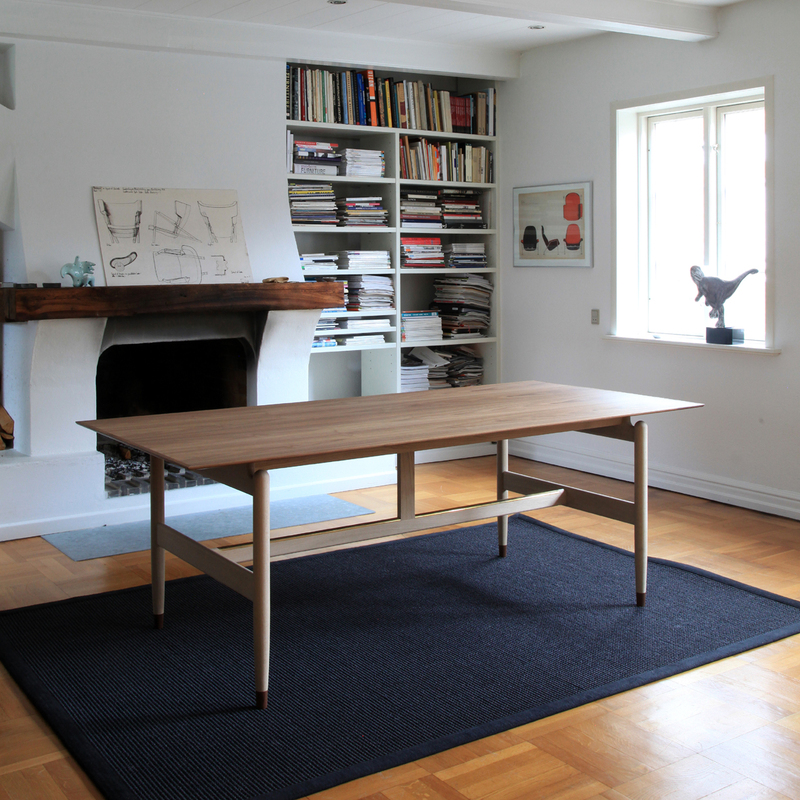 Like so much other furniture Finn Juhl designed a large working desk for his own house at Kratvænget in Charlottenlund, which was produced by Niels Vodder and later by Baker Furniture. The table still is in the house and is an unusual beautiful table. The ultra refined edge profiles of the table makes the rather solid table plate look as light as thistledown together with the beautiful frame which is lifted from the plate. 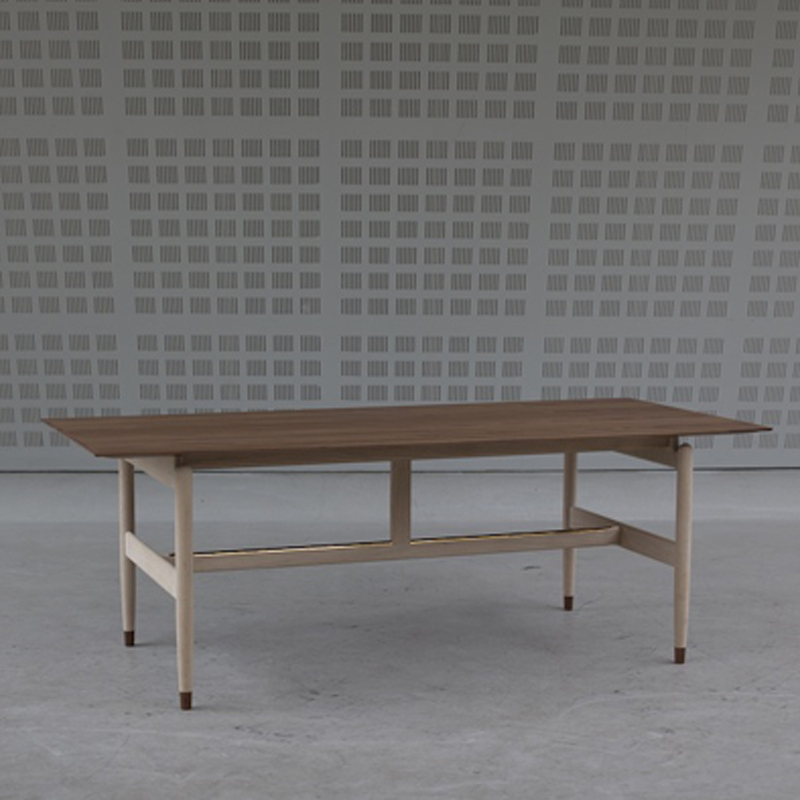 The expression of the table is in a class of it’s own and Finn Juhl has deliberately kept the table plate and the frame in different sorts of wood, a bright and a dark one in order to underline the difference between the lead and the leading. 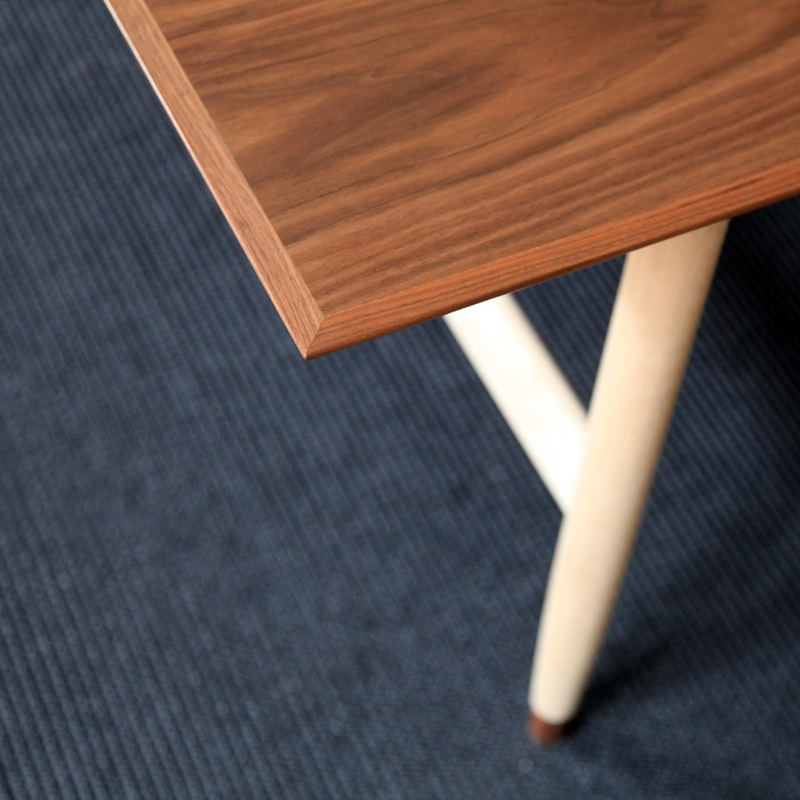 The table’s richness of details is typical for Finn Juhl, they are just as sensuous – as well as practically reasoned. The edge profiles end in a small drop shaped ending, inviting the plum of the finger to a sensuous touch. The inlaid and bended brass list of the cross apron is practical and delicate and prevents shoe polish on the bright wood, if one, as a result of the touch of the edge, should get indolent and rest the feet upon it. 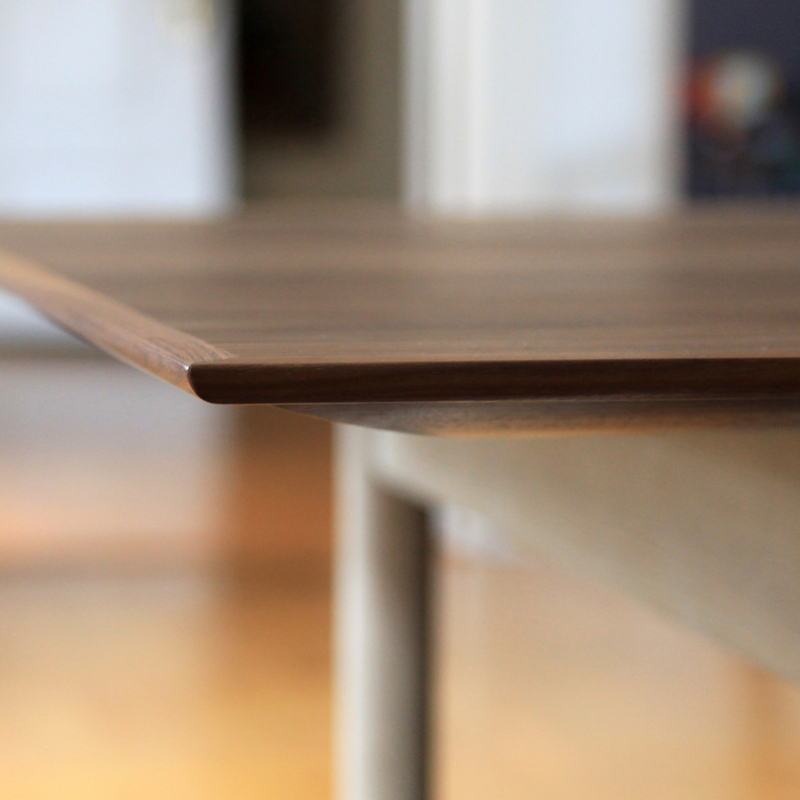 The very exclusive execution of the table is in walnut and oak and for a great part of it made by hand. As the table in the literature never has been named we have allowed ourselves to dedicate it to Finn Juhl’s friend, the former manager of MoMa, Edgar Kaufmann Jr, who “discovered” Finn Juhl and opened the way for his international career.